If you stay at our Cape Cod Bed and Breakfast you’ll learn that we like our wine. 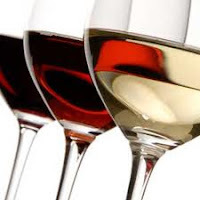 I love to share wine with our guest and friends and, often over wine, guest become friends. I spend a lot of time tasting wines to offer to our guest, and in this role I frequent the Wednesday tastings at the Belfry Bistro. On a recent Wednesday, Wendy from Trio Wines introduced us to what she considered to be reasonably priced, easy to drink summer wines. We started with a light white, the 2010 Octave Vinho Verde from Portugal. I love heavy ruby ports from Portugal and have never had a Portuguese white wine that I fondly remember. This white does not change that observation. Next, we went to a 2009 X Winery White, North Coast, an interesting blend of mainly Sauvignon Blanc with touches of Albarino, Muscat, and Chardonnay. I felt the Muscat imparted a sweetness that was not for me. I learn something at every wine tasting. Tonight I was introduced to two new grapes, the Vinho Verde and the Albarino, and I learned they are not at the top of my wish list. For red wines, Wendy suggested two very different wines from Argentina. The first was the 2009 2 Copas Red Blend, a blend of 80% Tempranillo and 20% Malbec, from Mendoza. Mendoza is famous for its great Malbec and you can taste the positive impact in this very drinkable and reasonably priced ‘deck’ wine. 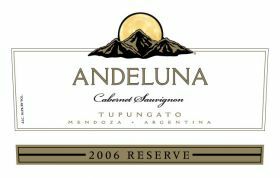 We closed with the 2006 Andeluna Reserve Celebracion, a smooth blend of 60% Cabernet Sauvignon and 40% Merlot. This wine was pared with a delightful Hanger Steak Brochette with Cous Cous, my favorite paring of the night. They truly did save the best for last with this selection. After the formal tasting, several of our wine loving friends joined Jan and me in a toast to our 38th wedding anniversary. We shared a great Robert Stemmler Pinot Noir from the Belfry Innkeeper’s special wine list. This 2008 Estate Grown Carneros Pinot Noir may now be my new favorite Pinot, and you all know how I love my Pinot Noir. Although the formal tasting did not yield any new stars for me to share with future guest at our Sandwich inn, it was still a great evening. I was introduced to several new varietals, some interesting blends and learned more about what I personally prefer. I enjoyed the learning experience. But the true highlight of the night was sharing wine with good friends as we celebrated another great year together. We are truly blessed. Great post you have here! Wine tasting events has been one of my favorites! Good job!